Varicose veins can be painful and unsightly, but Dr. Monica Grover can help. At Asira Medical in Yorktown Heights, New York, she helps patients find solutions for all of their skin care and cosmetic concerns. Dr. Grover is a board-certified physician that provides the most advanced medical technology to dramatically reduce the appearance of your varicose veins. If you’re ready to get rid of your varicose veins, call Dr. Grover today or book an appointment online. Varicose veins are veins that have become swollen and twisted. They’re often visible beneath the skin and may be dark blue or purple. While varicose veins can develop on any part of the body, they’re most common in the lower legs. Varicose veins develop when your blood doesn’t flow properly from one part of your body to another. The veins in your body have special valves which keep blood flowing in the right direction. When these valves aren’t working effectively, blood can pool in one area. Varicose veins can develop when there is too much pressure on your legs or abdomen. While obesity and pregnancy are two of the most common risk factors, you can also develop varicose veins if you spend a lot of time on your feet. In many cases, varicose veins are not harmful and don’t need medical treatment. You may choose to seek treatment for cosmetic reasons or to relieve pain and swelling caused by varicose veins. These advanced treatments require no surgery or anesthesia. You can receive your treatment in Dr. Grover’s office and return home the same day. Most patients report minimal pain and swelling, and many can return to their normal activities right away. How can I choose the treatment that’s right for me? 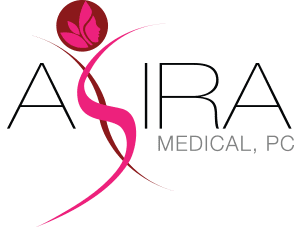 When you book an appointment with Asira Medical, Dr. Grover provides you with an in-depth consultation before developing a treatment plan that will meet your individual needs. Treatments results vary based on your overall health and the severity of your condition. In some cases, you may need a combination of several treatments. 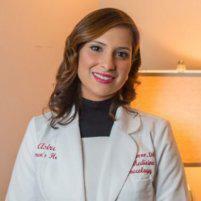 Dr. Grover is committed to offering a customized treatment plan designed to help you achieve your skin care goals. To schedule a consultation with Dr. Grover, call or book an appointment online today.